Banks are still facing image problems due to their sins from the credit crisis and Great Recession. Joan Jett may have not given a damn about her bad reputation. But bank executives in charge of trying to boost the brand image of their companies sure do. More than 80% of communications, marketing and investor relations managers at banks, brokerages and other financial services firms said that they think the financial crisis of 2008 is still having a negative impact on their companies. That's according to a survey of banking executives at 225 companies done for PR and communications firm Makovsky by market researcher Ebiquity last month. The findings were released Tuesday but given to CNNMoney first. The problems still creating headaches for the industry include: Excessively large bonuses, numerous lawsuits and big fines tied to bad practices leading up to the Great Recession. The bankers say that this is taking a financial toll on the industry. According to Scott Tangney, executive vice president of Makovsky, those surveyed estimate that their firms lost 27% in revenue over the past two years, equaling billions of dollars, due to reputation problems. Unsurprisingly, the bankers point their fingers at regulators. Tangney said that 55% of the executives surveyed thought regulatory actions, fines and lawsuits were hurting the industry's reputation. State attorneys general, as well as federal regulators, remind the public of all the sins of the past by continuing to go after the industry. It also doesn't help when there are headlines about banks failing stress tests and being told they need more capital. "The issues that have plagued financial services firms are not going away. 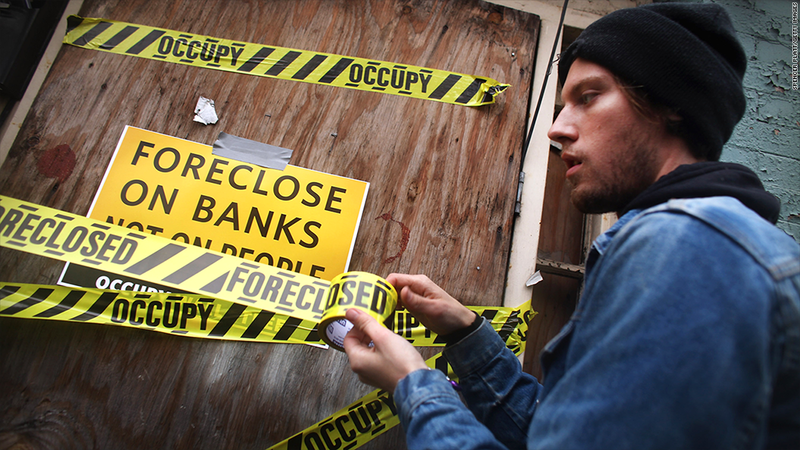 The Occupy Wall Street movement has been replaced by regulators. The regulators are the new activists," Tangney said. But at the same time, more than 60% of executives said that improving both customer and employee satisfaction would be a "very important" step towards improving their reputation. Tangney added that those who were surveyed thought that the financial services firms with Wall Street exposure are the ones who have the most to prove to customers. In fact, he said that the survey participants (a mix of executives from mid-to-large sized publicly traded and privately held financial services firms) felt that JPMorgan Chase (JPM), Bank of America (BAC) and Citigroup (C) had the biggest drop in reputation recently. Given that those three banks have remained in the headlines for multi-billion dollar settlements tied to the pre-crisis era, that makes sense. But being big doesn't necessarily mean that you have to have a bad image. Tangney said that the banking executives declared that Wells Fargo (WFC) -- which is the largest bank in the U.S. by market value -- had the strongest reputation. Tangney thinks that the reason for that is that Wells Fargo mostly stuck to traditional Main Street banking instead of getting heavily involved with trading and investment banking. 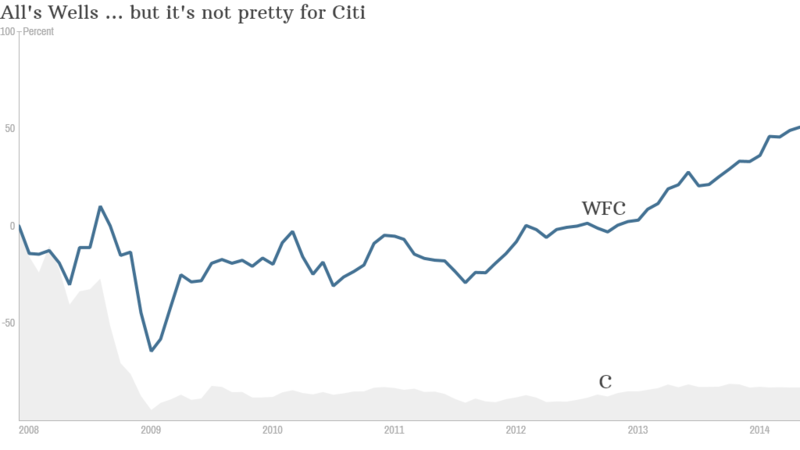 The stock performance of Wells Fargo bears this out as well. Shares are trading near an all-time high while shares of Citigroup, Bank of America, insurer AIG (AIG) and other financial firms that continued to have problems even their big bailouts, remain well below their pre-crisis peaks. So can the banks succeed in repairing their images? It's not going to happen overnight. Treacly commercials from big financial firms about how bank loans help boost small businesses don't seem to be doing the trick. Tangney said that many banking executives conceded it will take several more years for banks to regain the trust they lost. And the bankers realize that it will be better for the whole industry when the negative headlines finally start to subside. 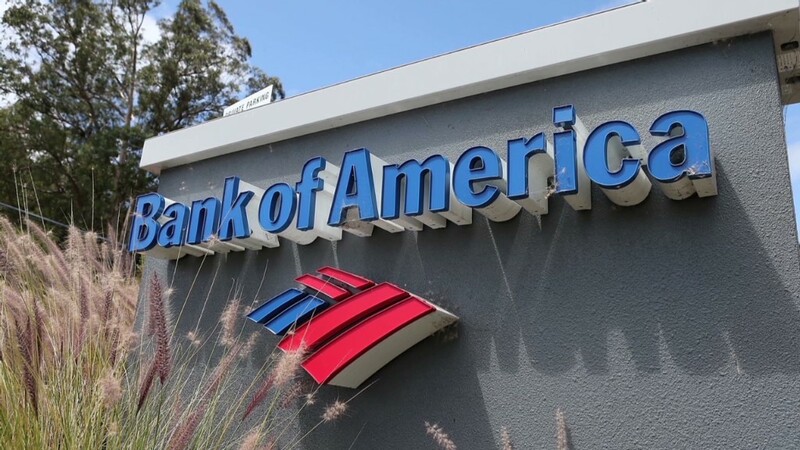 "The number one challenge for banks next year is differentiating themselves from other financial firms that have bad reputations," Tangney said. "It's going to be hard to rebuild their image in this environment."